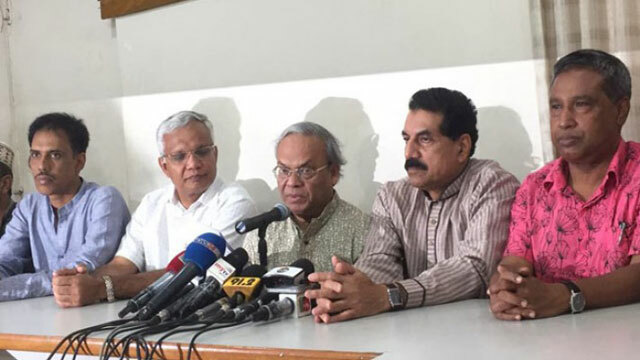 Dhaka, May 21 (Just News): Bangladesh Nationalist Party on Monday claimed that prime minister Sheikh Hasina’s comment over recently concluded Khulna city corporation polls is the ‘best fun’ with voters of the city. BNP senior joint secretary general Ruhul Kabir Rizvi made the remark at a news briefing at the party’s central office. He said the prime minister on Sunday said that her party gained support of Khulna city dwellers in the KCC polls held on May 15 due to massive development carried out by the government and questioned when such fair election was held in the country. Rizvi said the prime minister was now ignoring the Khulna city voters depriving them of their voting rights at the tyranny of ‘illegal power’. Because less than half voters of Khulna city could not go to the polling centers and thousands of voters could not cast their votes even turning up at the polling centers in Sheikh Hasina’s ’nice’ election of new model. The Election Commission being ashamed still could not give any formal reaction to the KCC polls, he said. United Nations, USA and development partners demanded for investigation into irregularities and vote rigging in the mayoral polls, the BNP leader said. The prime minister’s praising the civic polls marked by widespread rigging and irregularities proved that the government’s ‘top leaders’ were abettor for vote robbery. Rizvi said the prime minister’s statement cleared that the next election would be held like KCC polls. So the prime minister herself proved that if national election is held under her that would suicidal for the opposition, the senior joint secretary general said.